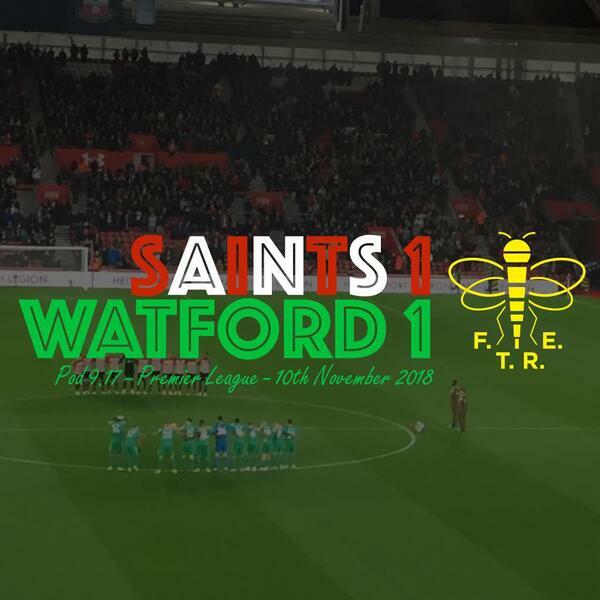 This week podcast hears Colin head off to St Mary's for a draw. It's another one of our away day diaries where we talk you through our day and our conversations. You'll hear him talk to many Watford fans, about their away trips and what makes a fantastic journey away from The Vic. Arlo picks an WWE tag-team and with the second edition of Watford Treasury out this month, available via thewatfordtreasury.co.uk, Jon talks to Ian Grant about his up coming article about the 1999-2000 relegation season.